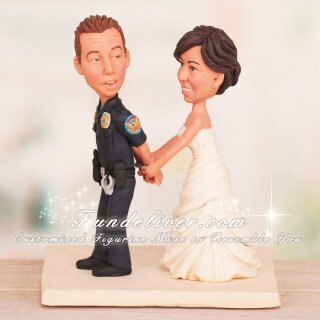 This is a completely customized funny Police wedding cake topper ordered by one of our customers. Have you been looking for cute policeman wedding cake toppers? This wedding cake topper might be just what you want. 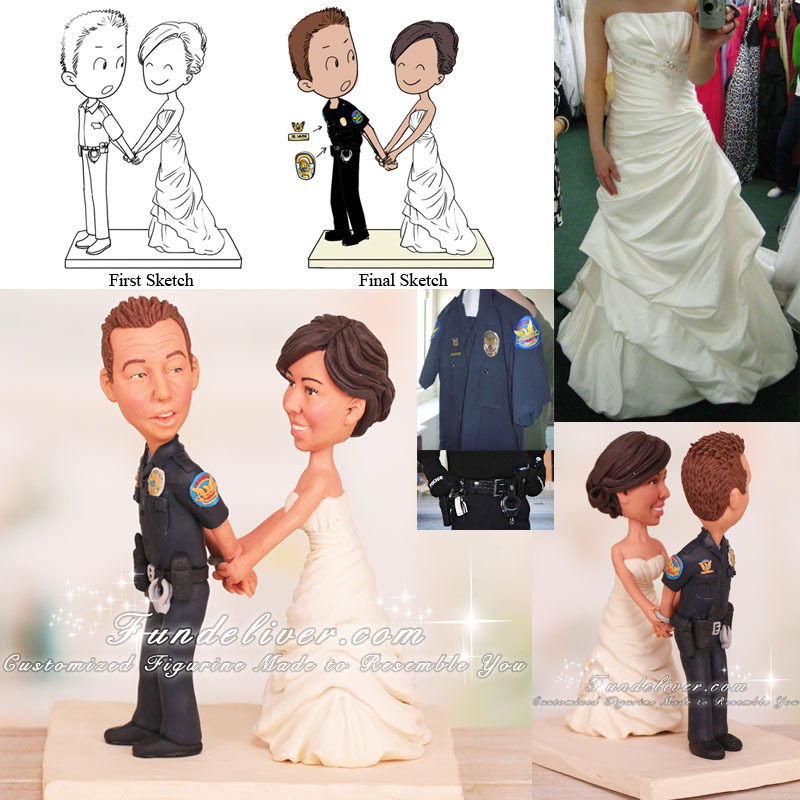 Personalized Police Officers with your uniforms and looks is a great custom theme in wedding cake topper and cake decoration. Why not have all your smiles, uniforms put in your wedding cake theme?